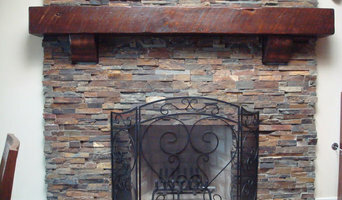 Mantel Depot makes and installs fireplace mantels and fireplace doors in San Diego, CA. We offer an extensive style collection to suit your taste from classic to contemporary. We have been doing this for over 15 years. We offer a free in-home estimate. We offer 0% interest financing. AMS Fireplace is a high end fireplace & fireplace doors company. Our focus is to supply quality products at the lowest prices and excellent service to our customers. Company CUSTOM MASONRY AND FIREPLACE DESIGN INC San Diego Masonry Contractor: Paul Walker Trained in England, he has 24 years of experience in masonry construction. The first five years were in and around London, where he served working with tradesmen who passed down their skills and knowledge acquired from previous generations. Paul has been building fireplaces in San Diego since 1992 and is a recognized expert in fireplace refacing, fireplace repair, and relining chimneys to prevent fire hazards. He is trained in all areas of masonry construction focusing mainly on the comprehensive aspects of fireplace and chimney construction, including outdoor cooking ovens and barbeques using real stone stonework, True stone, Rox Pro rock, Eldorado and Cultured stone. Our signature custom fireplace mantels comes in many styles and colors to choose from on San Diego and Los Angeles. Enhance the look of your fireplace with our unique design which create from decorative cast stone which is not just beautiful but durable as well for years to come. Comes in variety of styles, colors and textures. The Fireside Design Center is an extraordinary, one-of-a-kind fireplace design studio and showroom specializing in providing fireplace products and complete design, fabrication and installation services for the creation of fireplace environments of exceptional design and quality craftsmanship. The FDC is the preferred source of San Diego homeowners and trade professionals alike - a must see destination for anyone seeking design ideas or assistance with any aspect of their fireplace project. When you visit the Fireside Design Center, in addition to experiencing an extensive display assembled for your convenience and inspiration, you will be greeted by a highly experienced fireplace designer, ready to generously assist you in the creation of your fireplace - a fireplace in perfect harmony with your home and a reflection of your personal style. Souther Architectural Cast Stone provides custom cast stone products to Landscape Contractors, Architects, Builders, and homeowners for architectural construction, landscape enhancement, and beautiful European-style fireplace surrounds and mantels. Our high-quality landscape products continue your architectural style to the outdoors with hardscaping items, fountains, fireplaces, pots and planters, benches and tables, and even mailboxes. Cast stone serves as an appealing, durable and cost-effective alternative to natural cut limestone, brownstone, sandstone, bluestone, granite, slate, keystone, travertine, and other natural building stones. With our wide and varied selection of architectural styles and finishes, Souther's cast stone products provide the perfect choice of just the right elements to enhance the style and beauty of your home. Toni and Dennis Scull started the Pott Belly Shop in April of 1978. Today they still run the same business alongside their three adult children and grandson. The Pott Belly Shop offers chimney sweep services, as well as maintenance on your wood, pellet, or gas stove. Their large show room floor displays many different fireplaces as well as free standing stoves. They have a large selection of gas log sets, fireplace tools, tea pots, and steamers as well. Come stop by and check them out! Since 1924, Wilshire Fireplace Shops offering the finest contemporary, traditional and antique fireplace equipments like andirons, mantels, gas logs, Andirons, Firepits, tool sets, fireplace screens, Fireplace stove and lots more to their valuable California customers. Since 1924, Wilshire Fireplace Shops is the most progressive and complete fireplace accessory company in the country. We continue our long tradition of offering only the finest in contemporary, traditional, antique fireplace and antique reproduction equipment available. We feature an extensive line of andirons, tool sets, fireplace screens, fireboxes and Stoves, fireplace (natural gas, wood, propane), electric fireplace, fireplace mantels, gaslogs, glass doors, fireplace accessories, custom fireplace screens, barbeques, mail boxes, and weathervanes. Many items are authentic reproduction of antique pieces. We carry many period antiques as well as antique reproductions. Andrew Cullum is a lifelong Encinitas resident known for using old-world techniques to create exquisite hand-carved pieces. His work reflects a deep appreciation of nature and a coordination of movement and structure. Andrew's expertise in fine woodworking and his attention to artistic detail makes his work sought after by businesses and homeowners looking for unique custom designs. His furniture, mantels, and hand-carved doors grace some of San Diego's finest homes, from La Jolla to Rancho Santa Fe. Andrew's skill in woodworking was recognized early on, winning first-place in the youth division at the Del Mar Fair’s Woodworking Exposition. Ten years in the Cedros Design District in Solana Beach gave Andrew valuable experience working with other artisans and woodworkers to broaden his knowledge of artistic design, home furnishings, cabinetry and installations. Today, Andrew's work is displayed around the world. 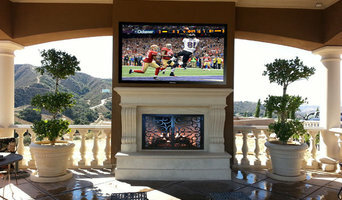 Fireplaces Plus was established in August of 1976 in Encinitas, California by Rick Patterson. In December of 1979 he was joined by his wife, Janie, and together they have owned and operated the store for 33 years. Rick Patterson set a precedent of hard work, customer service and cutting edge technology. In February of 2000, the owners decided to make a move from a small Encinitas fireplace shop to a larger and more centrally located warehouse in the La Costa Meadows Industrial Center off Rancho Santa Fe Road. With over 11,000 square feet of building, Rick and Janie expanded their product line, designed a giant burning display area, and trained more employees to serve the needs of the growing population of north San Diego county. 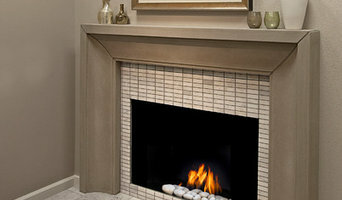 Today Fireplaces Plus houses hundreds of displays and the largest inventory of hearth accessories in San Diego County. The philosophy of this company remains the same: treat every customer as a friend, every question as important and every contact with the community as an opportunity to serve. Thank you for your years of patronage and we will strive to give you the best the hearth industry has to offer. We are a retail establishment that specializes in custom fireplace accessories as well as bbq, outdoor heaters, custom fireplace mantels, and custom firepits. Once upon a time, fireplaces were central to the home — meals were even cooked in them. Fireplaces go beyond physical comforts too, offering psychological and emotional warmth even in modern households. However, installing a new fireplace can go wrong, quickly. There is a lot to keep in mind, and there are plenty of safety measures that you need to get right. Reaching out to a Bonita, CA fireplace professional can help you find the right unit for your home and make sure it’s installed correctly. 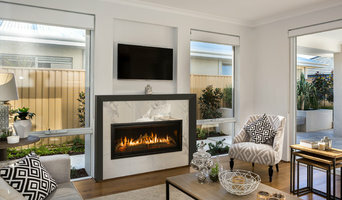 What should you know about buying a fireplace in Bonita? Since wood smoke contributes to air pollution, many cities have banned the use of wood-burning units. If you’d like to buy a wood burning unit, check the Bonita, CA city policies first. If your home already has a wood-burning unit that you’re concerned about, contact a fireplace manufacturer to replace your wood-burning unit with an environmentally friendly electric or gas alternative. Gas inserts can be efficient heaters and may lower your electric-heat bill. Many adjust to provide high heat on a cold night or a low-burning flame for ambience. Interior fireplaces and mantel designs are as varied as home interiors. From custom fireplace mantels made to conceal a flat-screen TV to custom hearth designs with elaborate Renaissance-style stone mantels, the latest designs can be found by visiting Bonita, CA fireplace showrooms. Find fireplace manufacturers and showrooms, plus fireplace installation professionals, on Houzz. 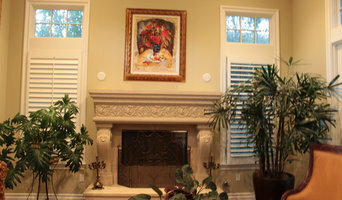 Go to the Professionals section to find Bonita, CA fireplace design and installation experts.